Dubai: Dubai Police command and control centre received more than 3,385 emergency calls and recorded 110 traffic accidents from Wednesday 12pm till Thursday 10am related to the rainy weather. Colonel Turki Bin Fares, director of command and control centre at Dubai Police, urged motorists to keep a safe distance between cars and adjust their speed to the weather conditions. He also advised them to allow extra time for their journey and check their planned route. It is also highly advisable to slow down as rains make roads slippery, he added. Col Bin Fares said accidents during bad weather and low visibility tend to be more severe. 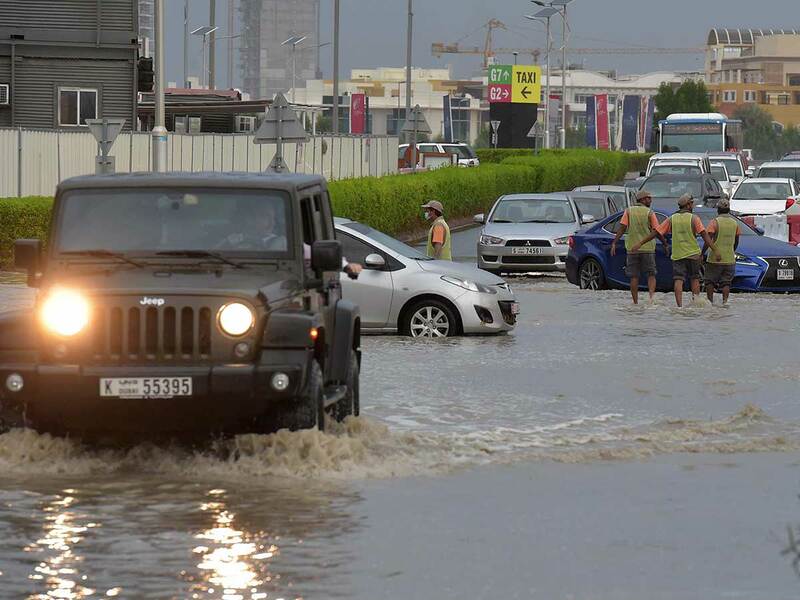 However, Dubai Police did not record any serious accidents or injuries over the past two days related to the weather. “People should follow safety instructions and regulation to avoid any accidents,” Col Bin Fares added. Dubai Police have stepped up the level of readiness to deal with any incidents in the mountainous areas and places prone to floods. The force has also stepped up the level of readiness in the desert areas, which have been recently popular among members of the public due to cooler weather.